The seminar will be hosted on July 14th, 2017 from 7:30am – 11am at the Marriott Washingtonian Center in Gaithersburg, Maryland and is absolutely free. The seminar is geared towards the local technical staff of Maryland, Virginia, and D.C. civil, geotechnical, and environmental engineering firms that might have an interest or expertise in hydraulic works. We hope to see you there! We’re hosting a Hydraulic Solutions Seminar on July 14th, 2017 from 7:30 am – 11am at the Marriott Washington Center in Gaithersburg, MD. We’d like to extend an invitation to anyone located in the Washington, D.C. Metro area who has an interest in the application and design of hydraulic solutions. The content will be tailored to the technical staff of civil, geotechnical, and environmental engineering firms that might have an interest or expertise in hydraulic works. Jerry DiMaggio, PE, D.GE, principal civil engineer at Applied Research Associates, Inc. (ARA) will be the guest speaker. Jerry is an industry veteran and retired Principal Bridge Engineer and National Program Manager of Geotechnical / Foundation Engineering with the U.S. DOT / FHWA. 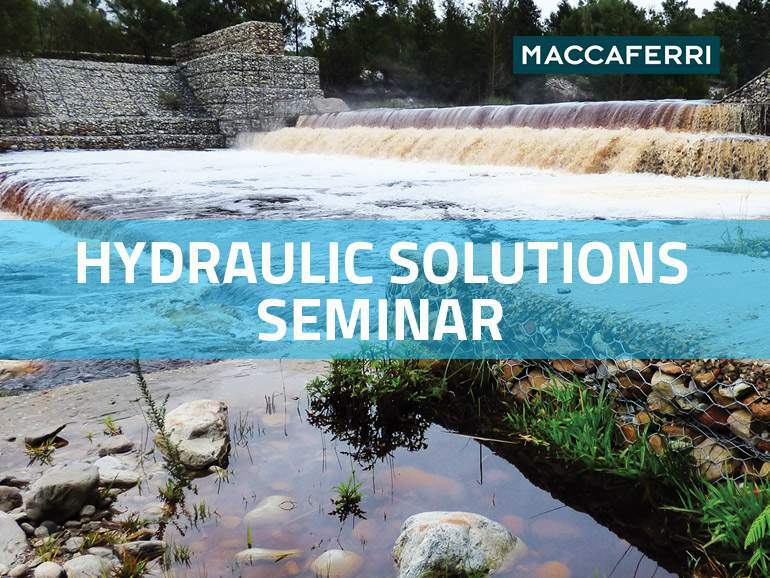 The seminar will also feature some of Maccaferri’s own hydraulics experts. We’ll also be offering 3 PDHs for your participation in this seminar! Maccaferri is an international manufacturer of Geosynthetic Materials, double twist steel wire mesh Products including Gabions and Reno Mattresses for the civil, geotechnical, and environmental construction markets. You can learn more about our hydraulic applications here. If you have any questions, please email us at info@us.maccaferrri.com.